An immediate stop work order is needed to protect a priceless Aboriginal heritage site from destruction for the South East Light Rail project. 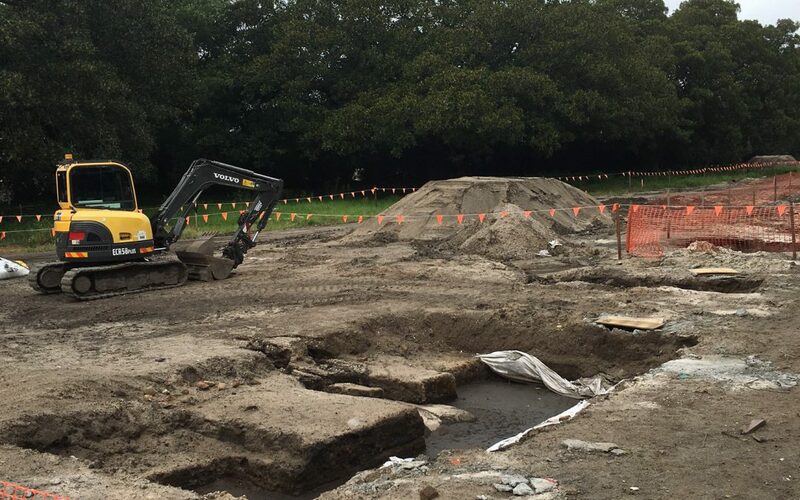 The Aboriginal heritage site in Randwick, adjacent to the Royal Randwick racecourse, has already yielded more than 21,000 artefacts from a series of small excavation pits. The entire site faces imminent destruction from machine excavators under the construction timetable for the light rail’s public private partnership. The site contains items from the Lower Hunter Valley never before seen. It seems this was the site of a large gathering around the time of the first white invasion of the land. It is even possible that this was one of the first sites of resistance and information sharing by Aboriginal people in response to this invasion. The entire site faces destruction in the coming weeks unless a stop work order is issued and alternative construction plans put on the table. Our office has written to the Minister for Planning requesting an immediate stop work order. “There is nothing at all like this in Sydney,” said Scott Franks, whose company was contracted to advise on indigenous heritage issues for the $2.1b light rail line. “You have material that’s not from Sydney,” he said, citing the fine cryptocrystalline stone of some of the artefacts. “The government must issue an immediate stop work order to halt the destruction of this irreplaceable Aboriginal heritage site. “In Australia, we have the privilege to live amongst the oldest continuing culture on the planet, yet governments continue to treat it with contempt. “Excavation on the site has already likely destroyed thousands of artefacts, which have been crushed by heavy machinery. Those artefacts that have been recovered have already lost their connection with place and with that a good deal of their cultural significance. “If this was the centre of Athens or Paris and a heritage find of this significance occurred then there is no doubt the work would stopped to see how the site could be saved, but in Sydney under Mike Baird the bulldozers aren’t even stopped for a day. “This site should be protected and celebrated, the story it tells about the history of Aboriginal people and its evidence of trade routes and potential first contact makes it genuinely unique. “The site was originally at a point where sand hills met a wetland, providing both shelter and food sources and allowing for large gatherings to be supported. “Despite the Light Rail having a heritage management plan that is meant to provide protection for identified Aboriginal heritage, the public private partnership that is building the light rail is refusing to stop work to preserve the site. “Already half of this extraordinarily significant site has been destroyed, and the rest faces machine excavation in coming weeks. This is simply unacceptable. “The imminent destruction of this Aboriginal place has been repeatedly raised with the Department of Planning and Environment and with Transport for NSW, but as with the historical fig trees in the area it seems destruction of heritage items is irrelevant too this Government,” MrShoebridge said.